When the price is not right: Why is a $50m record collection unable to sell for even a fraction of its value? It's the summer of 1951 and 12-year-old Paul Mawhinney is walking out of the National Record Mart on 5th Avenue, Pittsburgh, clutching a 79 cent copy of "Jezebel" by Frankie Laine. It is his first record – a purchase that very few of us ever forget. Fast forward 60 years and Mawhinney is still proud of his "Jezebel". But it has gained a few friends: around two million singles and one million albums to be more precise, plus an array of posters, books and other music memorabilia in a vinyl heap that's widely regarded as the largest record collection in the world. An appraisal from Andersen Consulting in 1999 estimated it to be worth $50.5m (£31.2m). But here's the rub: Mawhinney turns 72 in September and is legally blind. While he continues to catalogue his vast collection on a daily basis, it is proving increasingly difficult (he still has 750,000 records to add to his database). So he's looking for a buyer. Any buyer. In fact, Mawhinney's been looking to offload his collection for the best part of 12 years. "I have shown it to potential owners many times, but the minute they see the size of my collection, they say 'I'd love to have it, but how the hell could I take on all this work?'" he explains. great story, in fact, these types of stories never get old! An employee at Rockin Rudy's Record Heaven flips over a record. As soon as he places the needle on the worn black disc, blues music pops and crackles as nostalgia fills the air. 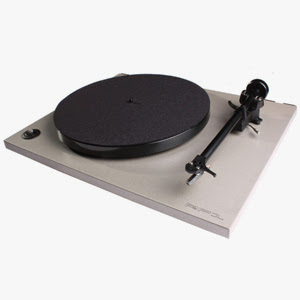 Vinyl records remind some of growing up in a time when real nitty-gritty rock 'n' roll reigned in the music industry. For others, records are the things that collect dust in their parents' garages as memories of yesteryear. Vinyl is also a reminder that in a world of iPods and iTunes, music has lost its hands-on feeling. Album artwork has become a lost art. Music doesn't sound the same anymore. Gone are the days of analog music in which the third cello in a symphony comes to life over the warm sounds of a record on a scratchy turntable. There's a longing for old school, it's clear: Vintage-style concert T-shirts flood malls and retro sneakers have become go-to kicks for hipsters. Records are no exception to this trend: What's old is new again. record for the Disney Pearl label. Wilson has worked with co-arranger Paul Von Mertens to give a Beach Boys-style spin to a number of Disney classics including Baby Mine (from Dumbo), I Just Can't Wait to Be King (The Lion King) and an instrumental take on Heigh-Ho and Whistle While You Work (Snow White and the Seven Dwarves). Avant-garde pop singer Björk took to Twitter and revealed the cover art for her upcoming album, 'Biophilia.' 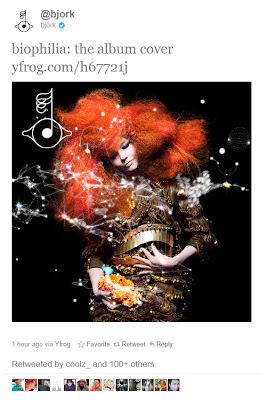 The album is scheduled for release on September 27, 2011. 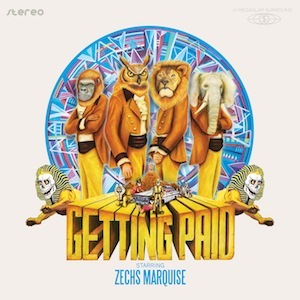 Zechs Marquise have announced their sophomore full-length, ‘Getting Paid.’ The new record is set to feature keyboardist and trumpeter Rikardo Rodriguez-Lopez’s first recorded appearance with the band, and guest performances by Sonny Baker and RX Bandits’ Matt Embree. 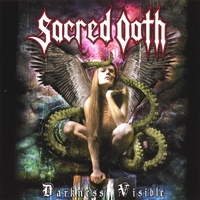 "Metalizer Records in Germany will release the second Sacred Oath album 'Darkness Visible' on vinyl along with a bonus 7" of Revolution/Burn Away (Loki's Song) on September 10th 2011. Metalizer released 'World On Fire' on deluxe double gatefold vinyl this past April." Heavy metal vets Metallica and the legendary Lou Reed have recently announced that their upcoming collaboration album will be released on November 1st in North America, while it will hit the shelves in the rest of the world a day earlier on October 31st. www.audiofidelity.net have just announced the re-release of two seminal albums James Taylor's Sweet Baby James and Heart'sGreatest Hits. Both will be available on August 30. Both were mastered by Steve Hoffman, so they will have the best sound possible! James Taylor's second album, Sweet Baby James, released in early 1970, is the album that secured his spot among the most important songwriters of the 70s. The sweet, bluesy acoustic guitar and vocals on this album are authentic and interesting - this is a record that has everything from a blues inspired jam, packed with a big band horn section ("Steamroller Blues"); to a gospel revival-like track ("Lo And Behold"); to a traditional nursery rhyme made into a folk ballad ("Oh, Susannah"). And, of course, the album featured "Fire and Rain," which reached #3 on the Billboard Hot 100. "Country Road" was another Top 40 hit that struck a chord with music fans, especially because of its attractive mixture of folk, country, gospel, and blues elements, all of them carefully understated and distanced. While Taylor gets help from some friends such as Carole King (piano) and future Eagles bassist Randy Meisner, its his stellar songwriting and heartfelt vocals that shot this album to #3 on the Billboard Album Charts and earned a 1971 Grammy nomination for Album of the Year. 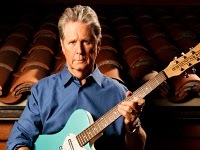 This recording launched not only Taylor's career - he's won more than 40 gold, platinum and multi-platinum awards as well as five GRAMMY® Awards and was inducted into both the Rock and Roll Hall of Fame and the Songwriters Hall of Fame - but also propelled the entire singer/songwriter movement of the early '70s that included Joni Mitchell, Carole King, Jackson Browne, Cat Stevens, and others. "...all of the essential songs from the band's most fruitful period - a must for every real hard rock collector ." Greatest Hits is a retrospective of Heart's career from 1976-1983. The album features seventeen tracks mostly culled, chronologically, from the Dreamboat Annie, Little Queen, Dog & Butterfly, and Bebe Le Strange albums plus "Strong, Strong Wind," an all-new studio cut recorded in 1998 and a live cover of Led Zeppelin's "Rock and Roll" from 1980 are included as bonus tracks. "Crazy On You," "Magic Man," Barracuda,"Straight On,” “Even It Up,” “Kick It Out” are among a string of other chart-topping hits that showcase the sisters’ enormous talents as both musicians and singers. Ann Wilson is undoubtedly THE powerhouse femme fatale vocalist of her generation and in the '70s along with her younger sister, Nancy Wilson showed the world that women can rock. 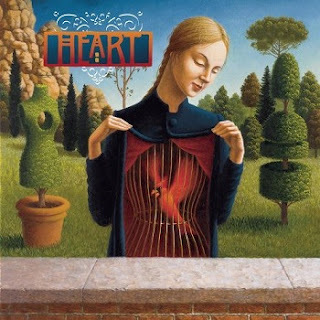 Heart was the first major hard rock band to be led by women. Their success helped open the door for future female artists who held up Ann and Nancy Wilson as influential role models. Along the way, Heart sold more than 30 million records, had 21 top 40 hits, sold out arenas worldwide, and had a profound influence on rock music. 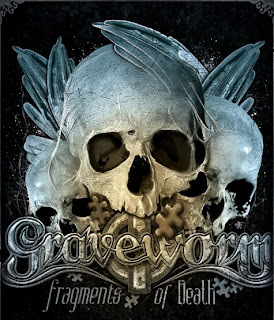 Italian dark metal outfit GRAVEWORM new album will be called 'Fragments Of Death' and is set for release on October 14 via Nuclear Blast Records. The album was recorded in July at the Dream Sound Studios in Munich, Germany and was mastered by Jan Vacik. "The songs are about the death in its thousand faces, which is also reflected in the album title and cover art. Musically, the album can be seen as a mixture of the best of the last four records, with some old-school roots and definitive darker than its predecessors." Commented vocalist Stefano Fiori: "We are very excited about our new album. It was a really hard work we have done but now we are happy with the result, and we cannot wait to play the songs live for our fans." 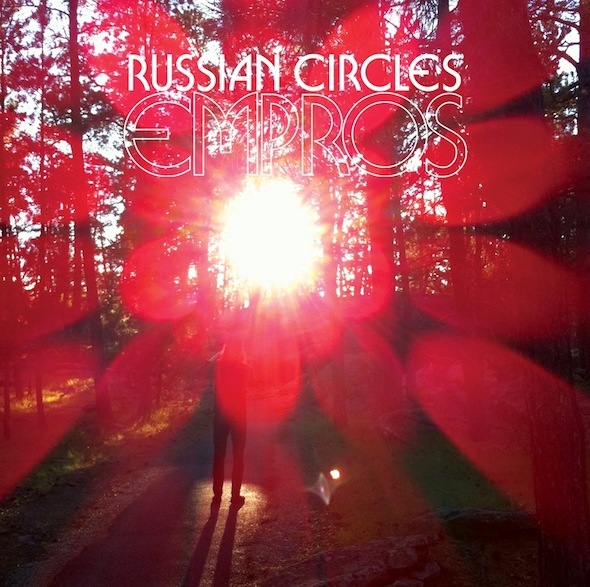 Chicago-based trio Russian Circles have revealed the title, album cover art, the tracklist as well as the release date for their new album. It's titled 'Empros' and will be available worldwide via Sargent House on October 25th. Empros is Russian Circles' first full-length to be released worldwide exclusively via Sargent House, the band's longtime management company and record label that had previously released only the vinyl editions of its three prior albums. It will be available everywhere on vinyl, CD and Digital Download on October 25th, 2011. 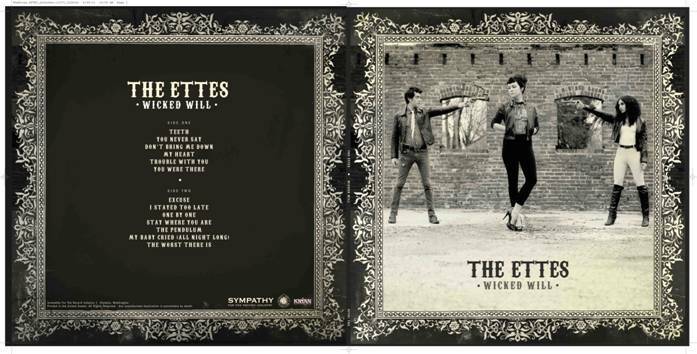 The legendary label Sympathy For The Record Industry has come out of a four-year retirement this week to release the limited edition collector’s vinyl of The Ettes’ brand new fourth studio album Wicked Will. Additionally, there are three limited edition 7” singles for the album’s closing track “The Worst There Is.” Each of the three 7” features cover art of each band member, with their b-side of choice. Sassy frontwoman Coco Hames’ b-side is “Randy Scouse Git,” a Monkees cover. Poni Silver chose “Eat The Night,” the first song that The Ettes ever wrote and recorded, and Jem Cohen’s b-side is “Colours” by Donovan. On August 2nd, the physical and digital version of Wicked Will was released to critical acclaim via Krian Music Group/Fond Object. Listen to lead single “Excuse” here. 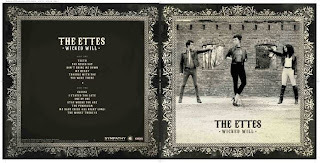 Go to www.TheEttes.com for The Ettes’ current tour dates – catch them now in a city near you! San Francisco Electronic Pop group releases their fourth studio album to critical acclaim. San Francisco’s electronica, pop/rock hybrid band Karmacoda announces the release of their new album Eternal on Sola Musa Music. The album features 12 new songs that span the emotional range from upbeat summer sing-alongs (“If You Give it To Me – Our Summer of Love”) to powerful emotional ballads (“I Am Just Not Listening Any Longer”). The album will also be made available as a limited edition, audiophile grade 192g, blue vinyl LP on August 9th. Eternal follows Karmacoda’s successful 2007 release Illuminate and marks the band’s seventh release. It was recorded in San Francisco at both “The Briefing Room,” the band’s large personal rehearsal space and recording studio located on Treasure Island where they recorded drums, bass, guitar and other louder parts, and at “The Amsterdam Room,” B.’s home studio where they did overdubs, tracked vocals and all mixing. In addition to B., Eric Matsuno, and Karmacoda’s lead vocalist Heather Pierce, Eternal features additional musicians including some of the West Coast’s best like Paul Johnson (guitar), Andy Korn (drums), Paul Dorr (jazz piano), Anji Bee (vocals), Beth Hirsch (vocals), Eamonn Flynn (piano), Ryan Lum (guitar), Neil Smith (guitar), Bill Schupp (drums) and Cheri Chuang (piano). The album was mastered by Andy VanDette (Metric, David Bowie) at Masterdisk in New York City. great story from the UK, a new vinyl record store!!! DEREK Brown isn’t the first person to start a vinyl record shop in Swindon, but he’s the only one currently operating and he’s planning to stick around. We live in an era when vast libraries of scratch-free, jump-free and snap-crackle-and-pop-free music can be carried in a device smaller than a packet of cigarettes – and that’s 10 cigarettes, not 20. 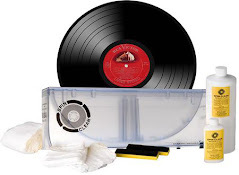 A run-of-the mill iPod can hold enough tracks to fill a van with CDs, a truck with vinyl singles and albums or a fleet of barges with antique 78s, and it’ll still have enough memory left over for a few dozen photos of your cat. Good News For Old Bands? Let’s go back to 1978: Black Sabbath released “Never Say Die!” in September of that year. There’s another thing that happened in the world that wasn't nearly as unconventionally cool, but that Black Sabbath might find really cool 35 years later. In the United States, a massive piece of government legislation went into effect called the Copyright Act of 1976. Before I tell you why that has any meaning at all to the godfathers of heavy metal and other bands from 1978 on, I’ll give you a rundown of what copyrights are. In 1920, America's first commercial radio station began operations in Detroit, Michigan. They were assigned the call letters 8MK by the United States Department of Commerce Bureau of Navigation. In 1922, the call letters were changed to WWJ and today the station's listenership ranks as one of the highest in its market. In 1965, the Rolling Stones’ manager Andrew Loog Oldham and his partner Tony Calder launched Immediate records. Their first release was The McCoy’s “Hang On Sloopy,” and Mick Jagger, Eric Clapton and Nico (later to join Velvet Underground), all attended the launch party. The label became the home of Small Faces, Nice, Amen Corner and Chris Farlowe and a young producer - guitarist Jimmy Page. In 1966, the Beatles, touring America for the last time, were forced to cancel and reschedule their performance in Cincinnati's open-air stadium, Crosley Field. Heavy rain (and no cover provided) made electrocution a virtual certainty if The Beatles had attempted to perform. Also in 1966, 14,000 fans crowded into the Forest Hills Music Festival in Queens, New York to hear The Supremes, Stevie Wonder and The Temptations. In 1967, the New York Times reported about a noise reduction system for album and tape recording developed by technicians R. and D.W. Dolby. Elektra Record's subsidiary, Checkmate Records became the first label to use the new Dolby process in its recordings. Also in 1969, Frank Zappa disbanded the Mothers of Invention right after an eight-day tour in Canada. Zappa said that he was "tired of playing for people who clap for all the wrong reasons." 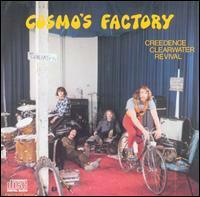 In 1970, Creedence Clearwater Revival's album "Cosmo's Factory" reaches #1 on the Billboard Hot 200, a position it would hold for 9 weeks. In 1980, John Lennon begins recording his final album, 'Double Fantasy.' It would be released on November 17th by the newly-formed Geffen Records and would win the 1982 Grammy Award for Album of the Year. In 1991, the movie 'Harley Davidson and The Marlboro Man' debuted in US theatres. The film featured a song called "The Bigger They Come," by Peter Frampton and Steve Marriott, which was their first work together since their days in Humble Pie, 20 years earlier. In 2000, the last show was played in London's original Wembley Stadium by Bon Jovi. In 2003, in Rhode Island, OSHA fined Derco LLC, which operated The Station club, $85,200 for one "willful" violation and six serious violations related to the February 20 fire that killed 100 and injured almost 200. Great White was fined $7,000 for failing to protect employees from fire hazards.